The Annual Blessing of the Animalstook place on Saturday, 29 September at 11:00 am. This much-loved service was jointly celebrated by the Cathedral Church of the Redeemer, St. Martin’s Anglican Church, and the Calgary Humane Society. It celebrates of our animal companions, present and past. 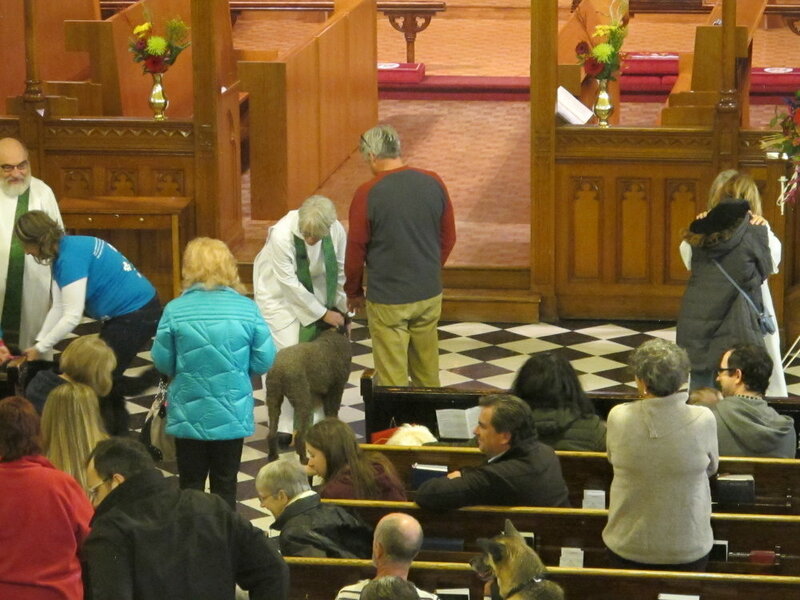 Participants brought their pets for blessing by the Rev’d Natasha Brubaker Garrison of St. Martin’s, and the Rev’d Helen Belcher of the Cathedral, and the Rev’d George Belcher, formerly of St. George’s in the Pines, Banffl.